BRUSSELS, March 21 (Xinhua) -- European Union's (EU) 27 members unanimously agreed to Art. 50 extension until May 22 if Withdrawal Agreement is approved next week by Britain's House of Commons, President of the European Council Donald Tusk said on Twitter Thursday. If the Withdrawal Agreement is not approved next week, then extension will go to April 12, said Tusk. The EU27 also approved the Strasbourg Agreement on Thursday and will continue no-deal preparations, said Tusk. The EU and Britain last week reached an agreement in Strasbourg on legal assurances about the functioning of the backstop. "April 12 is the date for UK to decide to participate in the European election. If it hasn't done so by then, long extension will become impossible," said Tusk at a press conference following the EU's Brexit summit here on Thursday. Tusk said that the conditional extension could be approved by "written procedure" at the end of next week, so it would not require the reconvening of the summit. Asked about "how long would the 'long extension' be", Jean-Claude Juncker, president of the European Commission who co-chaired the conference with Tusk, told reporters that "long extension would mean until the every end." 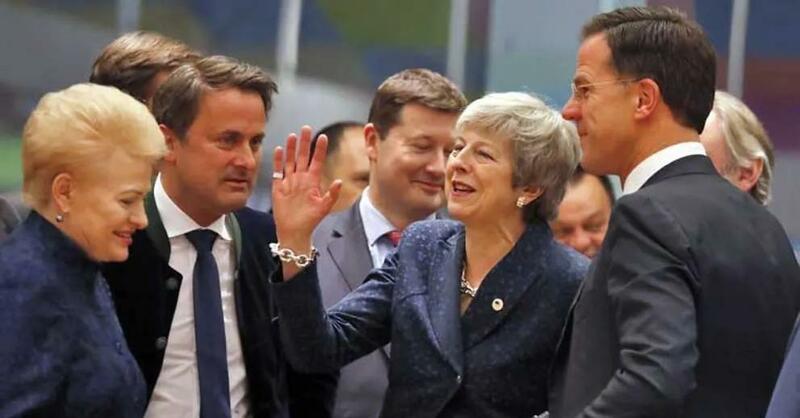 British Prime Minister Theresa May arrived in Brussels Thursday afternoon to officially ask for an extension for Brexit, which was due on March 29. After a longer-than expected Q&A with May, leaders of EU27 stuck in a marathon discussion on whether or not to grant the delay as Britain required. In an official document published after the summit, the European Council reiterates that there can be no opening of the Withdrawal Agreement that was agreed between the Union and Britain in November 2018. Any unilateral commitment, statement or other act should be compatible with the letter and the spirit of the Withdrawal Agreement. "The European Council calls for work to be continued on preparedness and contingency at all levels for the consequences of the United Kingdom's withdrawal, taking into account all possible outcomes," said the document.